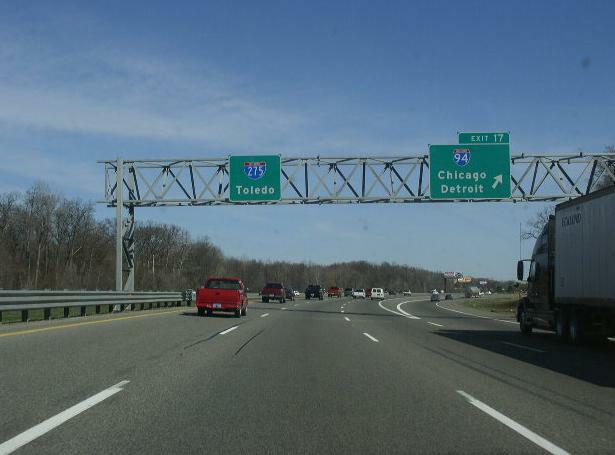 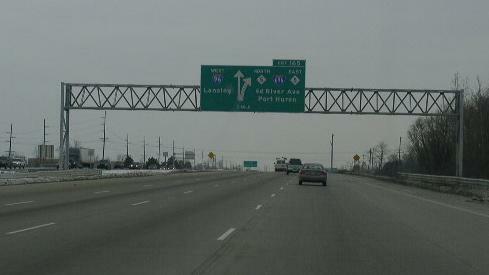 Interstate 275 is one of the loops around Metro-Detroit. 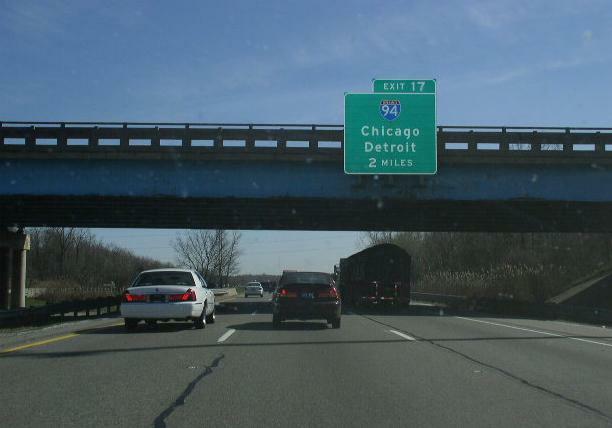 This starts at Interstate 75, near Newport and heads north to Detroit's western suburbs. 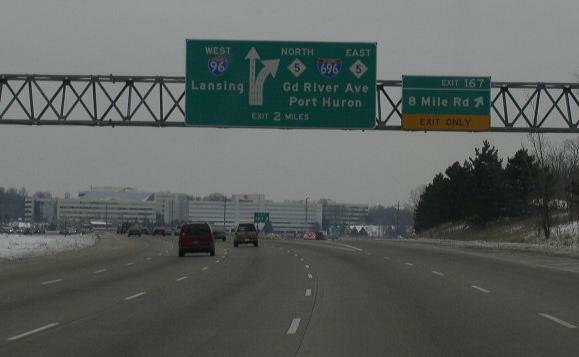 The northern end point for I-275 is at the interchange with Interstate 96/696/MI St Rt 5. 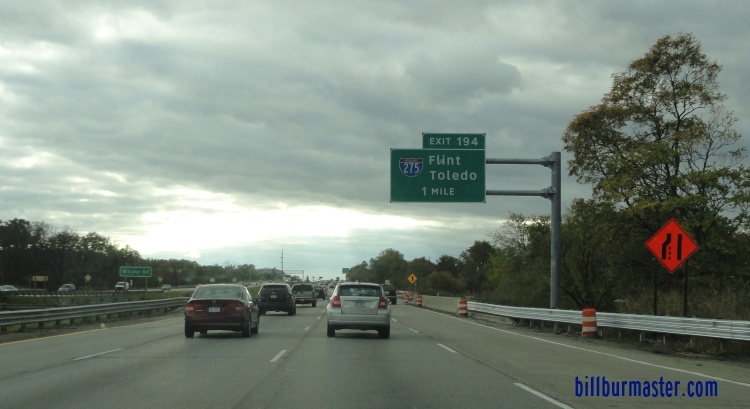 ...Interstate 96, from near Livonia to Farmington Hills. 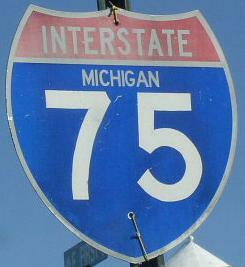 In Michigan, Interstate 275 crosses the following interstates. 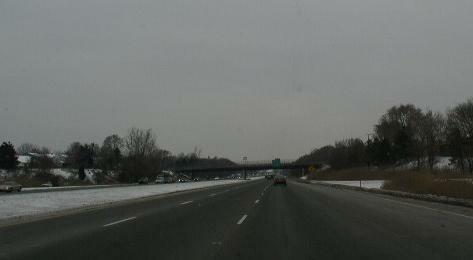 A overhead BGS on NB I-275. 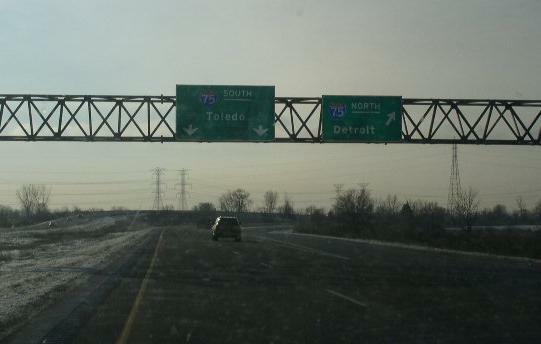 Another set of BGS's on NB I-275. 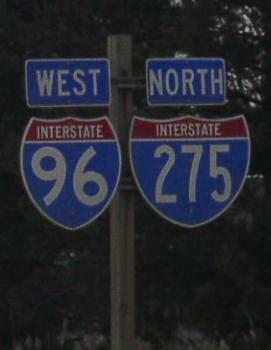 The first BGS for the the I-96/275 interchange. 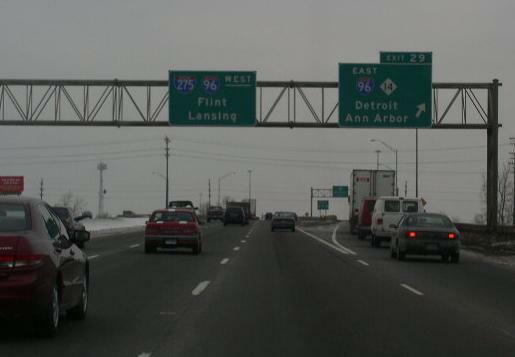 Lane markers on WB I-96/SB I-275. 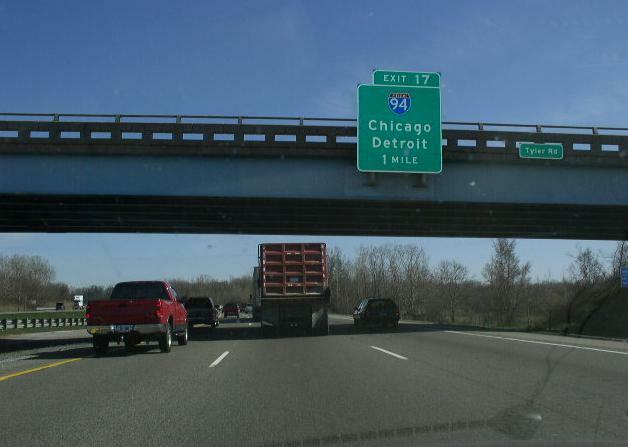 SB I-275 at WB I-96. 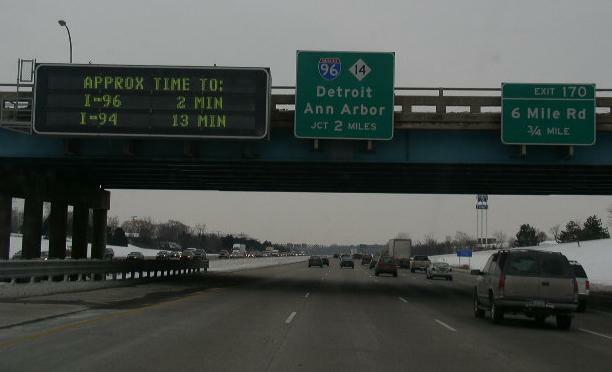 A overhead graphical sign on WB I-96/NB I-275. 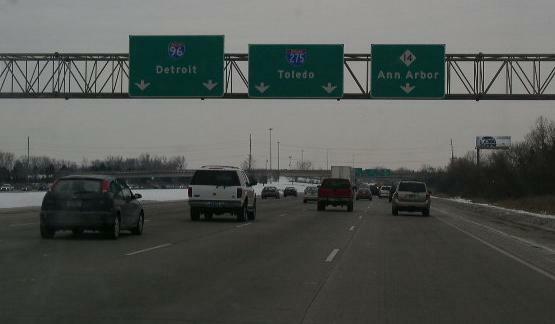 Another BGS on WB I-96/NB I-696. 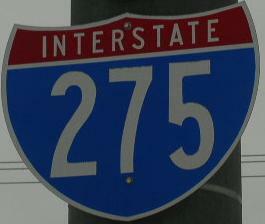 Info on the parent route to I-275. 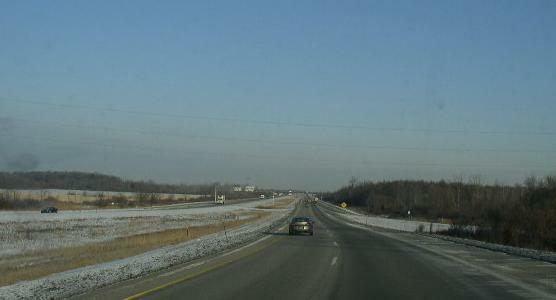 Looking west along I-275, just past I-75. 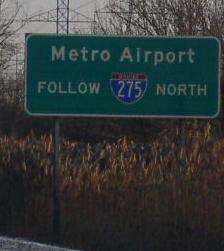 SB I-275 near Detroit Metropolitain-Waynce County Airport. 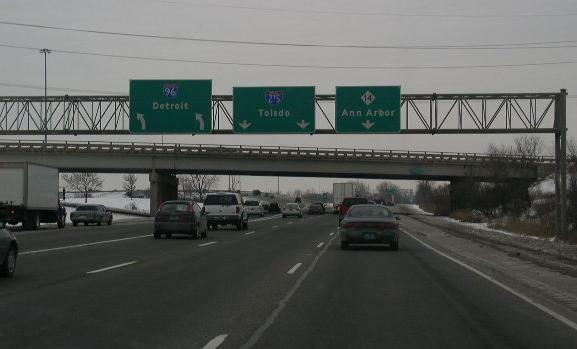 A overhead BGS on Ann Arbor Road. 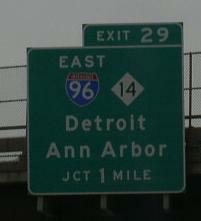 A marker at the gore point on EB Ann Arbor Road. 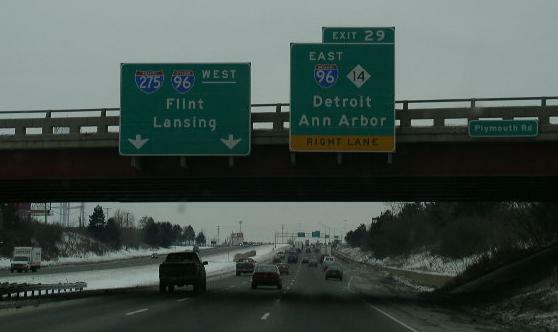 NB I-275 north of Ann Arbor Trail. 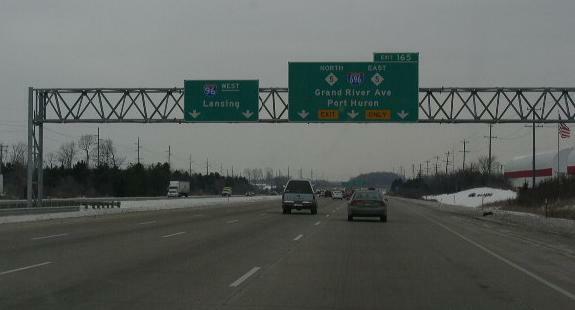 A BGS at the gore point on WB MI St Rt 14. 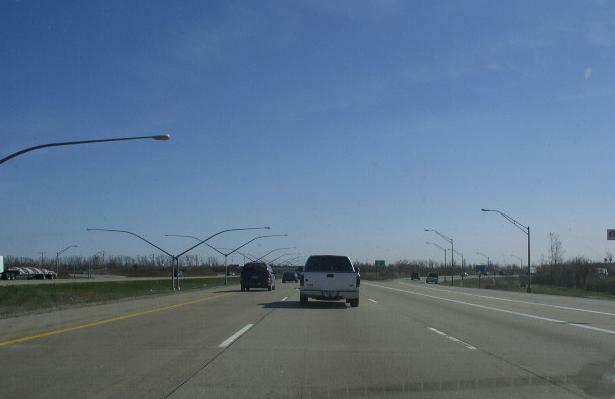 A set of guide markers on WB 10 Mile Road in Farmington Hills.